I’m really happy with how today went. 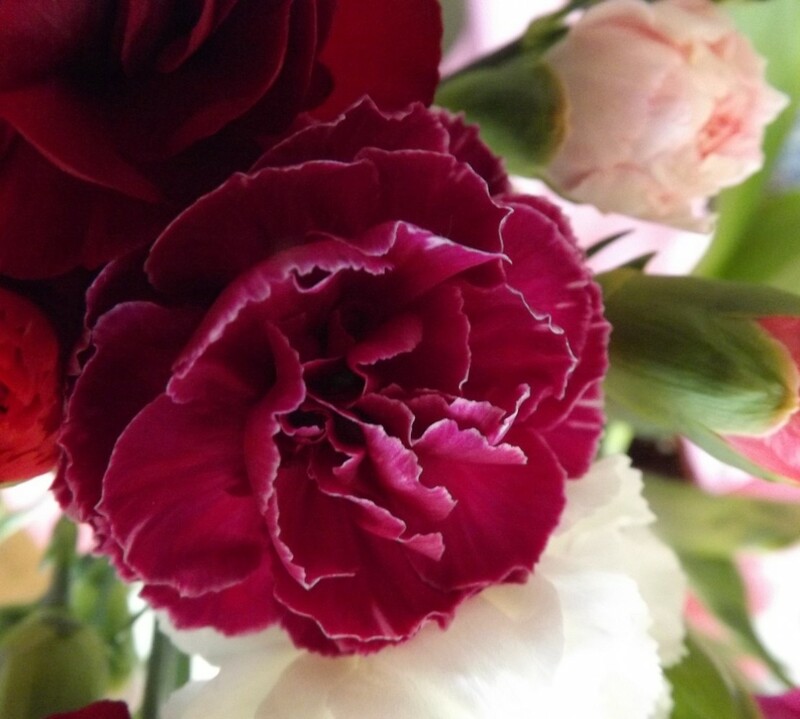 It was a great start to our 31 Days project and I got lots done. I love getting stuff done! It makes me want to get more and more stuff done and it just snowballs into lots of productivity. I love it! Today I was determined to take good advantage of Ascher’s first nap instead of flootling around(online, usually) and wasting half of it. As soon as he dozed off I got to work washing tomatoes and grinding them for canning. Once they and my canning pot were simmering on the stove I got my exercise in. 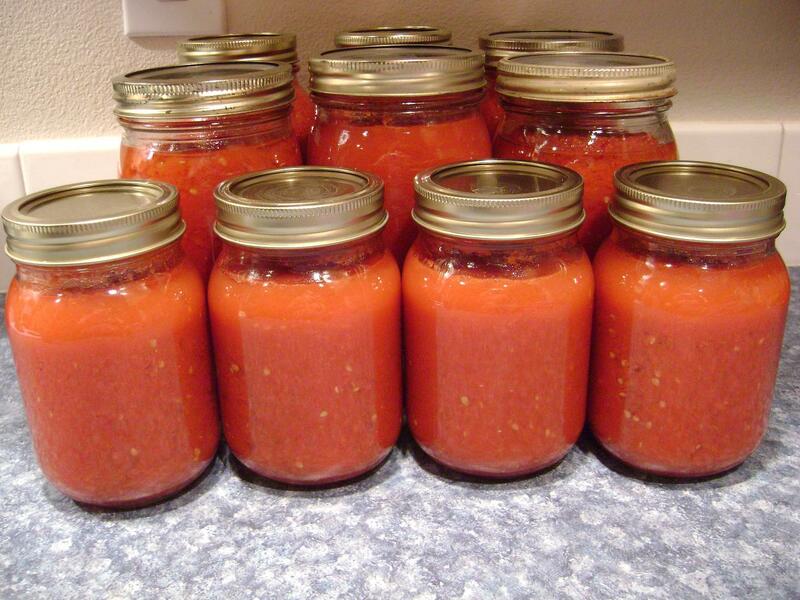 By the time I finished that the tomatoes were ready for jarring, so I did that and stuck them in the canner. 8 more quarts for the pantry, all from our garden, booyah! Ascher woke up, so I fed him, and then got a shower while Ben played with him. The tomatoes got done and we pulled Reuben sandwiches together for lunch(yummy!). At some point in the afternoon I went digging in my utensil drawer to find all my measuring spoons. 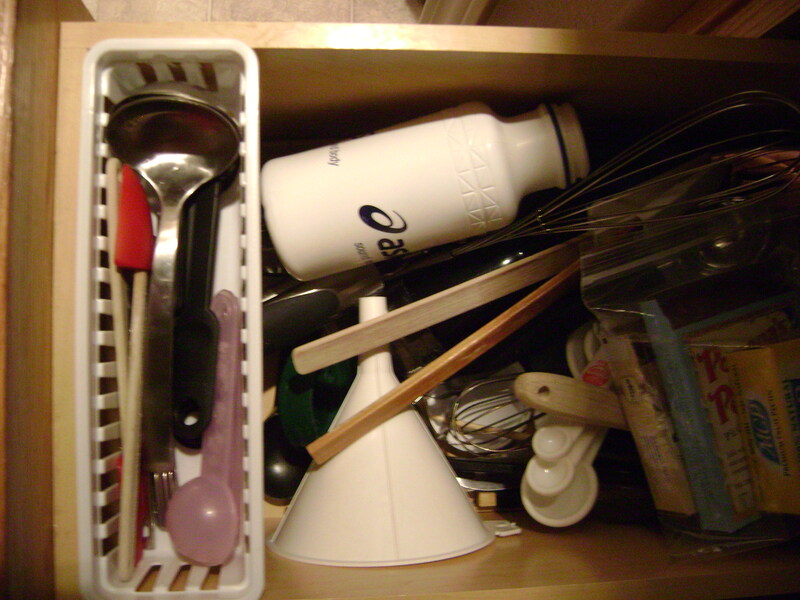 Our house has very limited drawer space so my utensils mostly live in one drawer, with the smaller stuff(of course!) sifting to the bottom. I’d remembered that I had one little white basket left from when I redid my spice cupboard so I was thinking that would help a tiny bit with finding my measuring spoons when I wanted them. When I went to put it in the drawer I discovered that the edge of the basket perches perfectly on the edge of the drawer, which makes it much more convenient than just being on the bottom of the drawer with everything else. It even slides back and forth if I need something underneath. I might need to snag one or two more to help organize a few more of the smallest things in the drawer. That was a happy surprise, how well that turned out. I did one more really fun thing, but it deserves its own post, so that will happen sometime tomorrow, complete with a photo tutorial! For now though, bed! How was your first of October?